error-proofing marking torque wrench. Lets you make direct visual checks for bolt tightening errors. 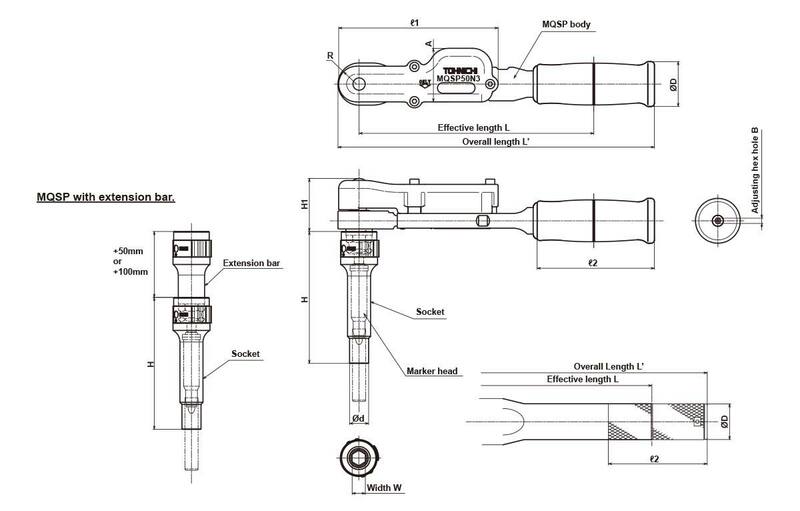 When the torque wrench is activated the bolt head is marked. Oversight preventable by quick visual check on the bolts. Marking is not done until set torque is achieved. Extending the socket with the extension bar permits tightening and marking in deeply inset places. Ink cartridges are easy to install inside specialized socket. One refill of ink is capable of approximately 6,000 times of stamping. Height of the stamp is adjustable (±5 mm). 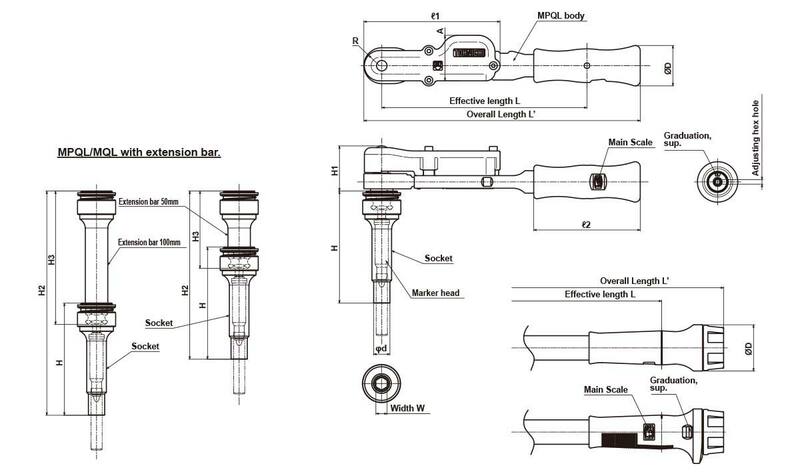 Marking torque wrench "MQSPFD/MQSPFDD" equipped with the FD/FDD transmitter, with which you can ensure in a later process or even after shipment that tightening was correctly performed; can be custom-made after receiving an order. When ordering a torque wrench, be sure to specify the socket width that matches your bolt size, and purchase together with the torque wrench.